Coming Soon… Presidential Candidates and Citizenship?! Everything’s bigger in America. Even the shows of patriotism. Even when they’re for other countries. I think it was my uncle, visiting from India, who once remarked to me how much Americans love their flag. Since then, I’ve noticed them everywhere – outside schools, offices, and hotels, in front yards, on t-shirts and mugs and mouse pads – seriously, just everywhere. I kind of love it. Patriotic songs from pretty much anywhere get me emotional. There’s something so majestic about seeing a giant flag waving in the wind. When I talk like this with my friends, they look at me like I’m crazy and point out that I’m still an Indian citizen. I’ve been debating for some time now whether or not to get US citizenship. Pretty much all my life, I’ve faced the typical immigrant problem – Americans call me Indian, and Indians call me American. This didn’t help my identity struggle growing up. I’ve held onto my Indian citizenship for this long because I felt that I might choose to live in India at some point. Plus, I like being able to say conclusively to any family member who challenges it that I am, in fact, Indian. I’ve balanced this by having an avid interest in American politics (especially presidential elections). I figured that if I participate in the political process by reading articles, having discussions with people, and volunteering for campaigns, I was probably doing more than just voting would have done anyway. This is all still under debate in my head though. Becoming a citizen of your adopted country is a very personal decision. Everyone in my immediate family became US citizens when I was young. I am very glad. I love this country and identify myself as American. I am still proud of my Cuban and European heritage, though. Becoming a citizen hasn’t changed that. I hope you get a chance at meeting her. Yes, I believe Americans are very patriotic. Even though some may disagree with the current political agenda, they are still proud of their home country.Though I still think its quite difficult to live in the USA, unless a person acquired a degree in computers or mathematics. Hopefully, in the coming years, jobs will open for the younger generations. I still call it my home, but I think after 22 years, I wish to stay away for some time 🙂 Hopefully, whatever you decide, it leads to something fruitful. Yeah, it’s funny – there is definitely a sense among the people of wanting the country to move forward and improve, regardless of political leaning. Surprisingly that level of devotion isn’t found everywhere. Agreed! Let me know if you find something interesting! This is from a German immigrant, naturalized last year. I hear you! I think this decision is not easy, especially if you are considering living in the country of origin/previous destinations. I agree that Americans are very patriotic, at the same time I have never felt excluded or discriminated here. Good luck with you decision and all the best. Thanks for your comment! I agree – I was just talking about this with my parents – we’ve very rarely felt discrimination here. Especially compared to India, people here are very open-minded, curious, and respectful. 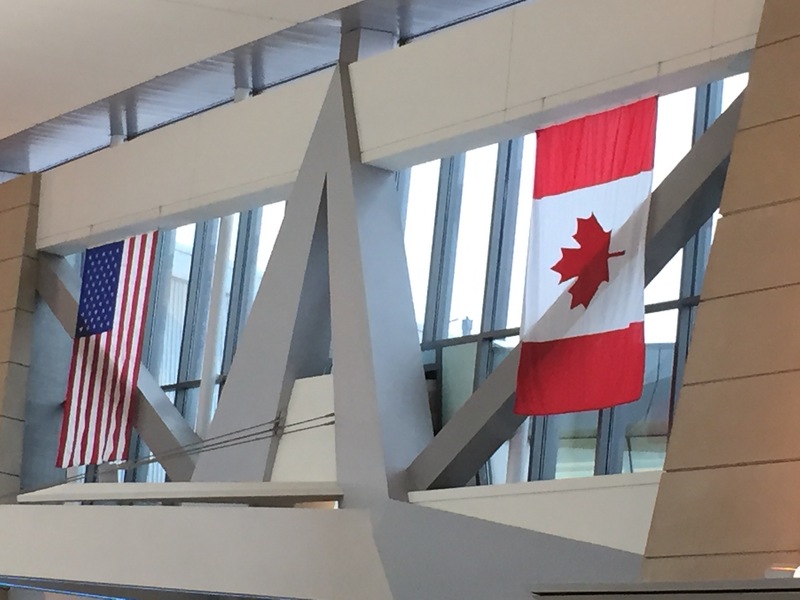 I like your eye for detail – how many people would have seen that one flag is bigger than the other! Your writing is great and reflective of yourself and your life in America.